MELBOURNE, Florida -- The Brevard County Democratic Executive Committee will hold its Annual Banquet at the Holiday Inn Viera on August 17th, 2013. This years banquet, titled “Building for our Future,” features, as keynote speaker, the Senior U.S. 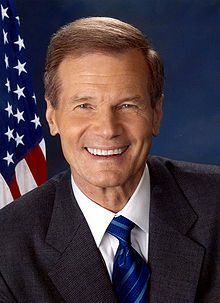 Senator from Florida, Bill Nelson. Dr. Leesa Souto is the Executive Director of the Marine Resources Council, an organization tasked with educating residents about and protecting the Indian River Lagoon. Jenna Tosh, President and CEO of Planned Parenthood of Greater Orlando, and women’s rights advocate in Florida. Nadine Smith, Executive Director of Equality Florida, an organization promoting rights of lesbians, gays, bisexuals, and transgenders across Florida; including an initiative to put a marriage equality amendment before voters in 2014. August 8 UPDATE per Equality Florida: "Equality Florida does not support an initiative to put a marriage equality amendment before voters in 2014."